The short answer? By putting in the effort and preparing well. 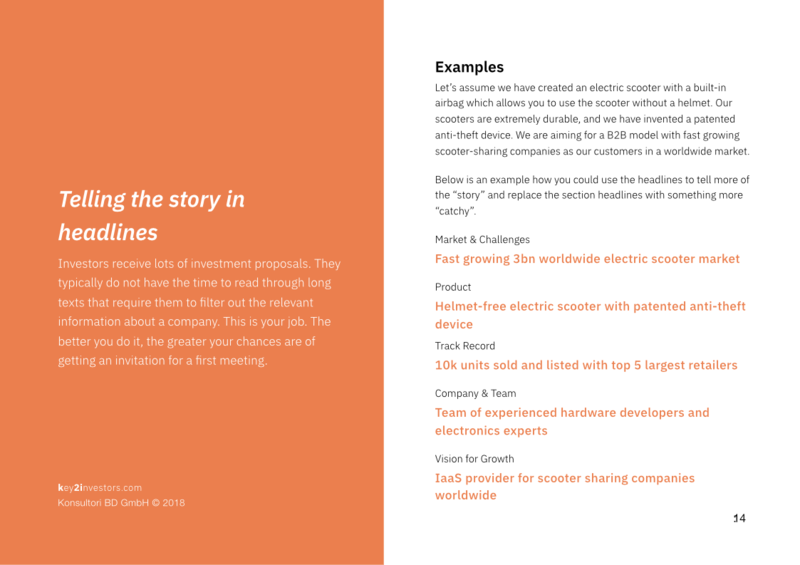 Sorry if we just spoiled all the fun and excitement, but our consulting experience has taught us this: There is no shortcut to writing the perfect investment teaser document. 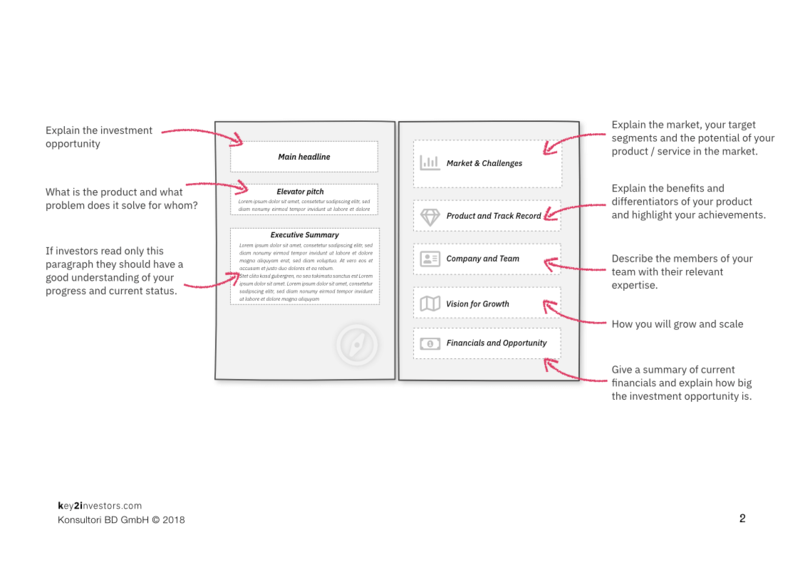 In our practice we sometimes see founders who want to start their fundraising process by creating the investment teaser: They ask for a template where they can fill in the details so they can quickly create an investment teaser document they can send out. Understand why your startup is worth investing in, then simply explain this well to investors. Imagine you were to change places with an investor: Look at your startup from her or his perspective and ask yourself what would make you want to invest? What questions would you ask? What numbers would you like to know? What would convince you? What does your company do and why does it matter? What problem are you solving and for whom? How big is the market and what is your USP? What traction do you have? Why do you need an investor and what are you going to do with the money? Most of these questions are about hard facts. You have to have the knowledge about your market(s), the domain expertise relevant for your product and you need to have strategy for growth. Besides those hard facts there is a another question which is very important for investors: Can you do it? If you get the investment will you be able to deliver? Understand why your startup is worth investing from the perspective of an investor. Provide the necessary data to give investors a solid basis for decision-making. Attractive investors are overwhelmed by 250+ investment proposals per month. More than 95% are being rejected. This shouldn’t scare you off, instead it should help you understand how important it is to prepare well before you start approaching investors. A good teaser document explains the investment opportunity in a structure reflecting investors’ needs. It is concise and covers all relevant aspects of your business. You should write in a clear and to-the-point style because you want to get the most important information across as quickly as possible. Use the headlines to tell the “story”. If an investor reads only the headlines he or she should be able to learn enough about what your company does and why they might be interested in investing. Keep in mind that writing is often an iterative process. The first version is probably not going to be perfect. Keep going, refine, edit and get feedback from others. 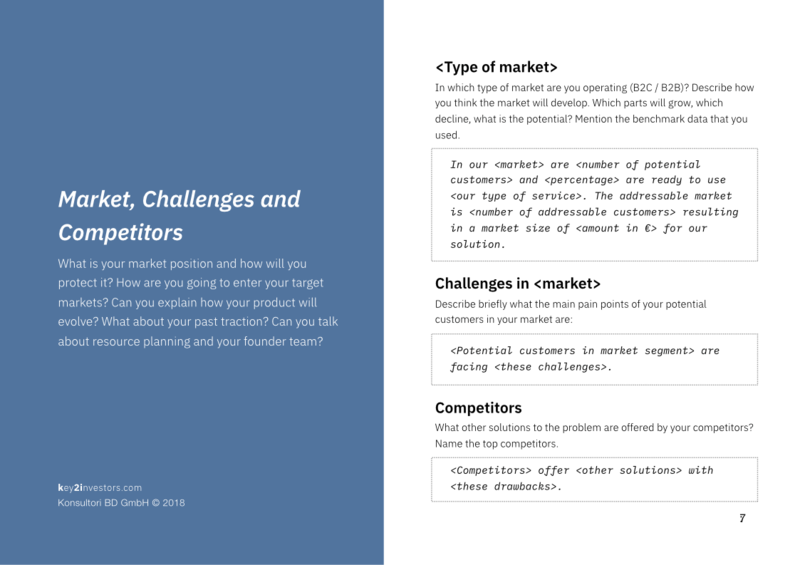 How can our guide help you with writing the perfect startup investment teaser? You’ll get a template that is based on a proven structure which ensures that you’ll cover all the essential information for investors. The purpose of each section is explained and sample texts are included. 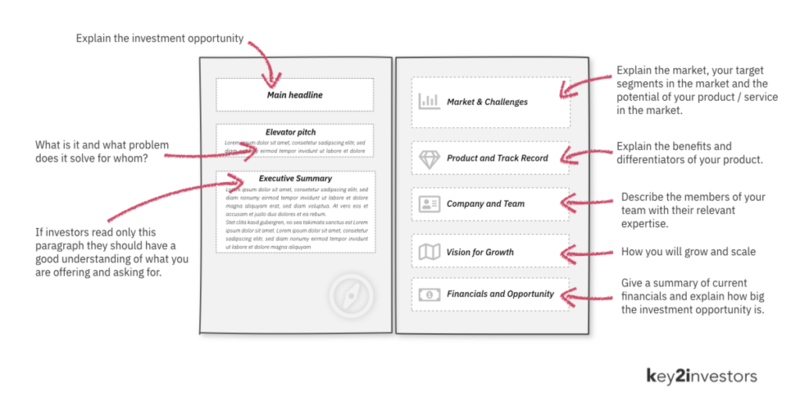 The templates will help you to get started quickly. A lot of additional information is available on our key2investors platform. On key2investors.com you’ll find everything in one place. 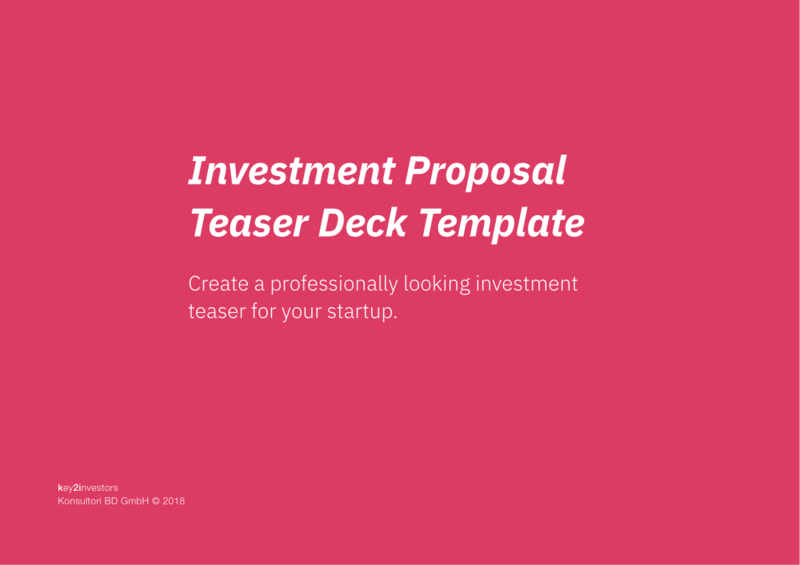 Create your investment proposal based on our template and guide.